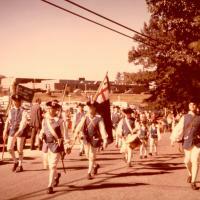 A color photo of the Assabet Minutemen marching to Maynard High School on Tiger Drive. Bill Boothroyd is leading the parade. 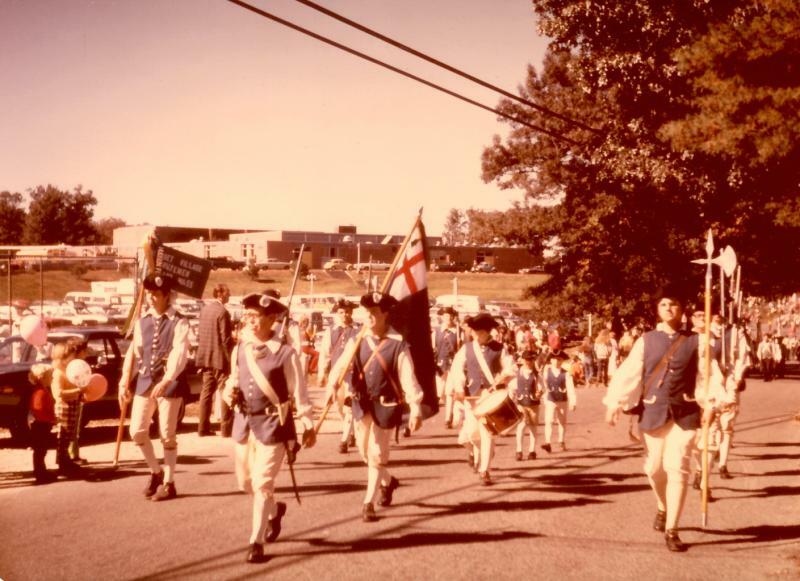 “Assabet Village Minuteman - 1975,” Maynard Historical Society Archives, accessed April 23, 2019, http://collection.maynardhistory.org/items/show/6055.